In this section, I focus on applications that can be used for lesson planning. 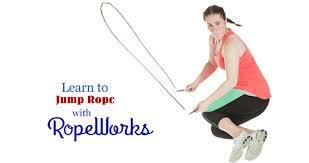 JustJump bundles over 200 jump rope skills and combos to improve strength, stamina, balance and spacial awareness. Dozens of workouts target sport and train goals. 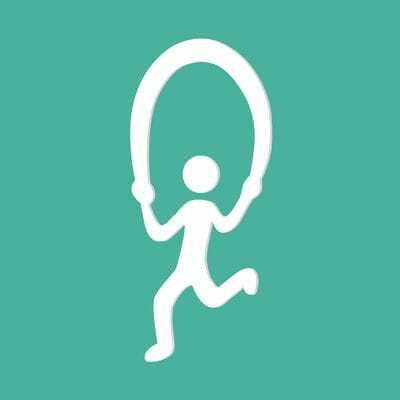 Grab a rope, get the app, and JustJump! Reach Top Performance Anytime, Anywhere. Jump rope training will improve strength, stamina, balance and spatial awareness. How you train will determine the benefits you reap. Our certified personal trainers have formulated sport- and outcome-specific workouts to reach your peak performance. Beyond mere athleticism, jump rope training can target sport-specific physical conditioning—everything from improving lower-body lateral mobility (tennis) to increasing upper-body strength stamina during intense anaerobic activity (rugby). Start JustJump training for your sport to see activity-specific results. From a basic jump to a quadruple under, JustJump covers skills and combos of every level, type and ability. Jump higher, run further and last longer with workouts targeted at training goals for fitness, sport and competition. Skill and combo videos at just the right angle bring jump rope skill descriptions to life. Activate slo-mo video to catch every details of how a jump rope skill or combo is completed. In partnership with EliteSRS, access the same precision gear that professional jumpers use worldwide. Skipping Skills is the most convenient, fun, and effective way to learn jump rope skills. Video explanations and demonstrations of each skill are taught by world class jump ropers. Additional videos and tips images are included to help jumpers with challenges of the skills. Skills are organized into six increasingly difficult skills levels with over 35 extra skills. This app is based on the best selling Skipping Skills instructional DVDs. I really hope the developers of this app read this review. I also hope they continue to add to the content. iModify PE is an app that gives great ideas on how to include students with Autism, Visual Impairments, those in a wheelchair, and those with severe disabilities in Physical Education. Currently there are modifications for 3 sports (Baseball/Softball, Basketball, & Soccer). Please add more!!! please note: app currently unavailable in the u.s. store. When it is active again, i will post a link here. When I first found this app, I was at the beginning of a gymnastics unit with my students. Boy, am I glad I found it! Such a great app to teach students as young as 5 the basics of gymnastics. Through pictures and short videos, I project the app on the wall and students follow along. Awesome. A collection of all different jump rope skills and activities. There are links to videos that display competitions and routines. A great way to motivate students to be a better rope jumper!!! This is a great resource for all P.E. teachers who teach sports based units like badminton, golf, handball, field hockey, etc... Each sport has basic rules, equipment used, plus other interesting facts about each sport. Similar to the "Ice Breakers" app below, this is a collection of getting to know you games that you can to to start off your school year. This app is a collection of 100 sports from all around the world. Each sport has an information page that gives the history, country of origin, first played, basic rules, equipment, plus other interesting facts about each game. A great way to introduce sports to students in grades 3-12. After you select the two criteria, the app produces a game. The app is designed for small groups (4 or less) so it is ideal for stations or if a teacher wants to create numerous games at the same time in class. Another great app from Gracious Wolf (AKA Nicholas Stratigopoulos). The app is broken down into categories such as "Low Activity" and "Medium-High Activity". Also, activities with no equipment 1, 2, and 3+ types of equipment. Great graphics and activity descriptions make this app a must for any teacher, recreation leader, or one who works with large groups of students. On this cold winter's day in Massachusetts, what I wouldn't give to be in a nice warm swimming pool or on a nice warm beach somewhere. What I wouldn't give to have a pool at my school!!! If I did have a pool at my school, and I had the opportunity to teach swimming to my students, I would use this app over an over again. Great games that range from beginner to intermediate to advanced. Every few years I take out my handful of yo-yos and brush up on my tricks. After showing some tricks to my kids I always get a group of students who show interest in learning more. I'll then form an after school program. This app is a great way to show kids how to do basic to advanced yo-yo tricks. Various videos demonstrate single and double yo-yo tricks. Another great app from Jarrod Robinson. AFL stands for Australian Football League from the sport Australian Rules Football. This app has tons of activities such as warmup games, ball handling drills, handball drills, kicking drills, marking drills, and modified games. There is also a video section making this a very enjoyable app. A great app to create slideshows. With this app you have ability to adjust the amount of time each slide is shown, put your slideshow to music, and to put captions on each slide. Click below to see how I used this app in a game called "Chocolate Chip Cookies". A great app to show students all sorts of dribbling in the game of basketball. The app is organized into a series of short videos showing each drill. There are stationary drills, moving drills, and two ball drills. The app is more for upper elementary to high school students. For those of you who teach Square Dance, this app is incredible. It is a directory of square dance calls, each one demonstrated by the figures you see on your left via a small video. In addition there is a written description of each call on the page as well. "Honor your partner!!!" A nice collection of booklets and videos to teach the game of soccer to kids. The GK project (Which stands for "Games and Kids") is "designed to help educate and inspire youth education organizations create a better environment and teach life lessons using a proven sports strategy." Free too! Yet another great app from the original PE Geek, Jarrod Robinson. I love these apps he's putting out (also see the "Balance It" app below). This one applies to jump rope and all the different types of skills that go along with this activity. Activities include individual jumps as well as group jumps. I plan to display this through my projector when I teach jump rope later this year. A must have app. Active Education is a magazine based in Australia that focuses on outdoor and physical education professionals. This app includes some good games and warmup activities for students. Also, there is outdoor education tips as well as first aid information. A neat little app. Are you a true "PE Geek"? Would you like to connect with other PE Geeks from around the world? Then this app is for you. This app has a large list of teachers from around the world who consider themselves PE Geeks. It also has Phys. Ed. games that you can watch via video as well as something called PHYSEDagogy that discusses Phys. Ed. topics from PE Geeks around the world. Great resource! Click on the button below to go to their website. A great resource for all elementary PE teachers. 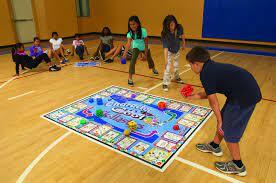 It has a great collection of games and activities for younger students in grades K-5. Categories include Ball Bounce, Catch, Dodge, Forehand, Jump, Kick, Leap, Overarm Throw, Punt, Run, and Two Handed Strike. All games have groupings needed, equipment used, area required, instructions on how to play the game, and game variations. Another great app from Jarrod Robinson. TGFU means "Teaching Games For Understanding". It is a teaching model that many Physical Education teachers use to teach their students the finer complexities of sports This app contains games and activities for pursuit/evade, invasion/territorial, net/wall, striking/fielding, and target sports. For grades K-6. Learning to juggle has never been easier with this user friendly app. Mr. Marcus provides written as well as video demonstrations on how to juggle starting with scarves. Great fun! This app contains games and activities for those who teach or coach soccer. There are games for ball handling, defense, passing, and shooting. Literally dozens of games to choose from. This app is very similar to the one to the left. Same categories of games. Another great app from Jarod Robinson (The PE Geek). Very useful for a gymnastics unit showing students all kinds of balances they can perform by themselves or with 2, 3, 5, or more, students. 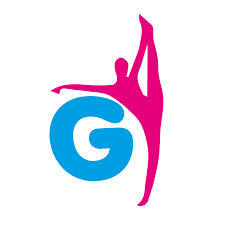 Connect your iPad up to a projector and your on your way to a great gymnastics lesson that will engage the kids. Neat app that let's you select a game to play based on number of players, type of field, and equipment needed. It even lets you design your own game. Designed by Pepperidge farm (The company that makes "Goldfish" crackers.) Worth a look! Very useful app that gives you the option to pick activities such as Movement Exercises, Thinking Exercises, Megabreak Exercises, and Relaxation Exercises. The Movement Exercises are great for Physical Education and are split into subcategories (Balance & Coordination, Controlled Activities, Movements, and Posture). Love this app. All sorts of tag games based on how much equipment you want to use (No equipment, 1 type of equipment, 2 types of equipment, and 3+ types of equipment). It even has a built in timer as an added feature. Submit a game to the developer through the app and, who knows, you may even be a contributing author! The creator of this app asked me if I would review this app. First, let me say "thank you" to Mel for checking out this site! Great app with tons of ready to use games for students in P.E. class. You can mark games already played and print out any games you want with the PDF function which was just added. Unlock all games for $2.99. Great price for a great app for Phys. Ed. teachers. Neat app that provides a different game each time you open up the app. Shake your device and a new game appears. Tons of games and tons of fun. This is a fun little app that has lots of goodies inside. As you can see from the picture it has 4 different categories. Under the "Activities And Games" section it has PE and outdoor games, icebreaker activities, team building activities, and time filler activities. The other 3 categories are pretty cool too. Go ahead, explore!!! Great idea for an app and great ideas in this app. You can even send them some of your favorites to be added in an update. I wish there were more apps like this. If there were, I would never buy a book again. Designed for the Iphone/Ipod touch but accessible on the ipad, this app has tons of games and activities that can be used in Physical Education. Categories like "Top 10", "General Games", "Minor Games", "Tagging Games", "Reaction Games", "Relay Games", "Co-operative Games", "Tennis Balls", and "Forming Groups". Like I said before, tons of games!!! Great collection of all kids of games including Name Games, Get To Know You, Icebreakers, Team Building, Initiatives, and Just For Fun. Good resource for all Physical Education teachers regardless of level(s) taught.